Funeral Service will be Saturday, February 21, 2004 at 11 AM at St. John United Church of Christ in Breese with Revs. Jeffrey Schwab and William Schwab officiating. Interment will follow at St. John Cemetery in Breese. 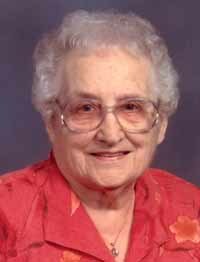 Visitation will be Saturday, February 21, 2004 from 9 to 11 AM at St. John United Church of Christ in Breese.